Beat in the eggs one at a time, with a spoonful of the flour with each one to prevent the mixture from curdling. Fold in the remaining flour with a metal spoon until you have a soft, smooth cake batter. Fill the tins with the correct sponge mix for that sized tin. Place in the oven at 180°C (160°C Fan, gas mark 4), and bake the 12cm square cake for 25 minutes, the 20cm square cake for 30 minutes and the 25cm square cake for 40 minutes. 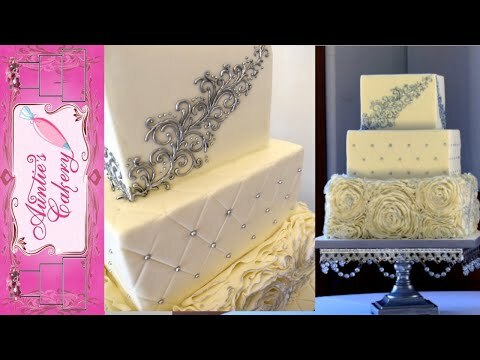 Repeat steps 4 and 5 with the sugar paste icing. Lightly dust your hands with icing sugar and gently run over the cake with your hands to even out any lumps or bumps. Pipe some royal icing onto the centre of the bottom tier to secure the second tier. Carefully place the second tier onto the bottom one. 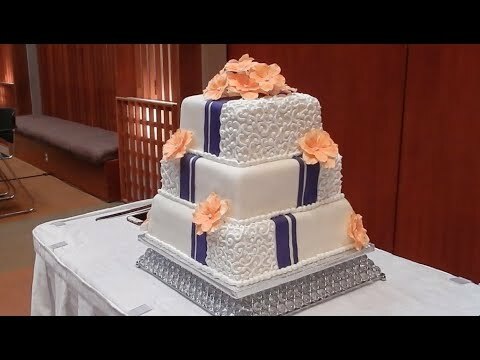 Mix some icing to match the colour of the cake icing and pipe a thin line along the bottom edge of each tier. 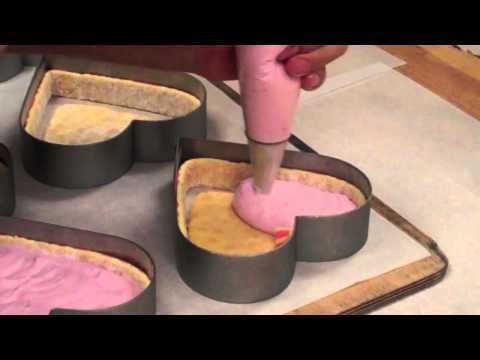 While wet run a finger over the line to smooth the icing and fill any gap between the two cake layers. A ribbon and also be added here to hide any unevenness that may appear. To make the spotty shapes, take the white sugar paste icing and add a few drops food colouring (this can be done by dipping a wooden skewer into the food colouring and piercing the icing all over). Knead until you get a nice even colour. 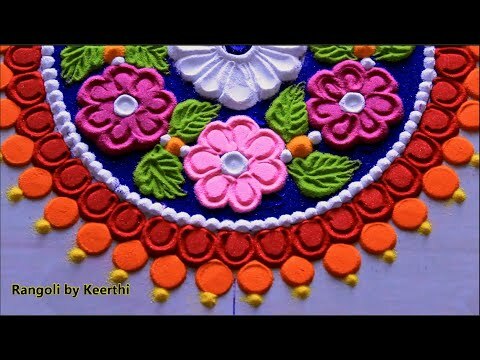 Lightly dust a surface with icing sugar and roll the coloured icing and cut spotty shapes – either use small cutters or the end of a piping nozzle. Pipe a little white icing onto the fondant shape and use to stick the icing shapes to iced cake. For the piped dots, place a plain nozzle in a piping bag. Fill with the icing, twist and hold in your writing hand. Squeeze the icing at the top of the bag to make it flow through. 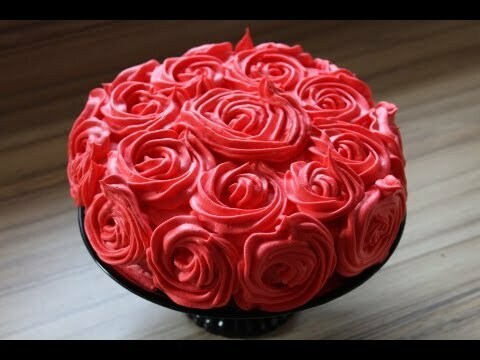 The icing should be smooth, soft but still with a little resistance. To make dots, hold the bag vertically with the nozzle close to the surface, squeeze a little icing out to make a dot the desired size, then to finish, stop squeezing, push down and then draw up sharply. If the dot has a little peak flatten carefully with a damp knife point or paintbrush.